Uninstall System apps on Android Without Root After Buying a new Android device, What We get in it? Some Good apps like Calculator, Contacts, Phone, Gallery app etc right. But There are some other third apps, which comes pre-installed in our device which we don’t need is called bloatware. Some apps like Amazon, Ola, Uber etc comes pre installed in some of the devices, which can make your phone more slower. If you don’t like These apps, which comes pre-installed in devices, also known as System apps, I will tell you about that how can you Remove these apps from your device completely. There are many Guides are available for Uninstalling System apps with rooted Android device, with the help of simple apps. But if you phone is not rooted, then you don’t have complete control over your device. You can not modify system files of your device without rooting it. But There is one simple way, foruninstall system apps android without root with the help of one PC Software. 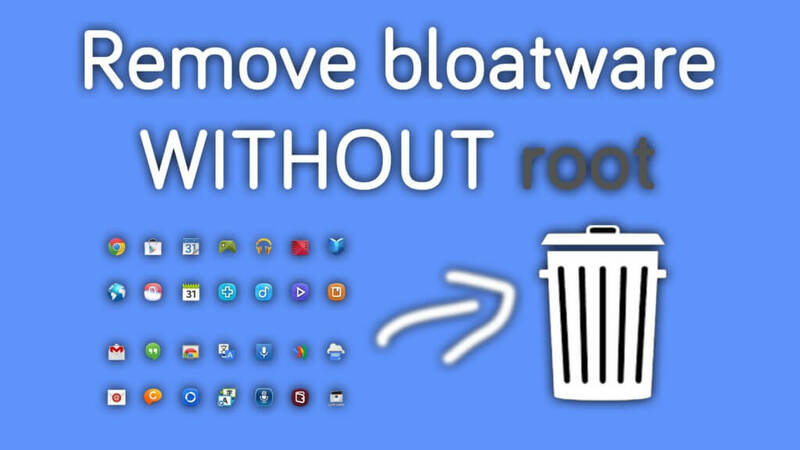 If you are searching about system app remover no root apk, then there is no apk available like that you have to use simple PC software, which I have mentioned below. For follow this guide, let’s have a look at some of the basic requirements now from below, Which will help you to remove preinstalled bloatware from your Android device without rooting it. 2. Android Device running on Android 4.4 or more. 3. USB Debugging Must Be Enabled from your Phone. 4. USB Drivers for your device must me installed in your PC. • Simply Download and Install Debloater software in your PC, from above link in requirements, then open it after successful Installation. • Then Make sure you have enabled USB Debugging in you device, if not done then follow these steps. Goto Phone Setting – about phone – tap 7 times on Build Number. Then Goto Settings – Developer Options – Enable USB Debugging. • After Enable USB Debugging, make sure ADB Drivers for your Device in PC already installed, if not then search on google regarding your device’s drivers and install them. •Now Connect your Device with your PC / Laptop via USB Data cable. • Now Click on Read Device Packages button from Debloater Software in your PC. • Wait for few seconds, it will show you all installed apps in your device. • Double Click on Any app of your choice which you want to Disable / Uninstall and then click on Apply Button. • and you are done, now you will not see that app which you uninstalled from your device via Debloater software from your PC.